What’s the best way to propose to your beloved? Nothing screams eternity like a diamond, right? Or would she rather be swept off her feet by a (literal) knight in shining armour? Heck, girls: should it even be the guy doing the proposing nowadays?? Well a young gentleman in Chengdu, China, has found the way to his fiancé’s heart: through her feet. 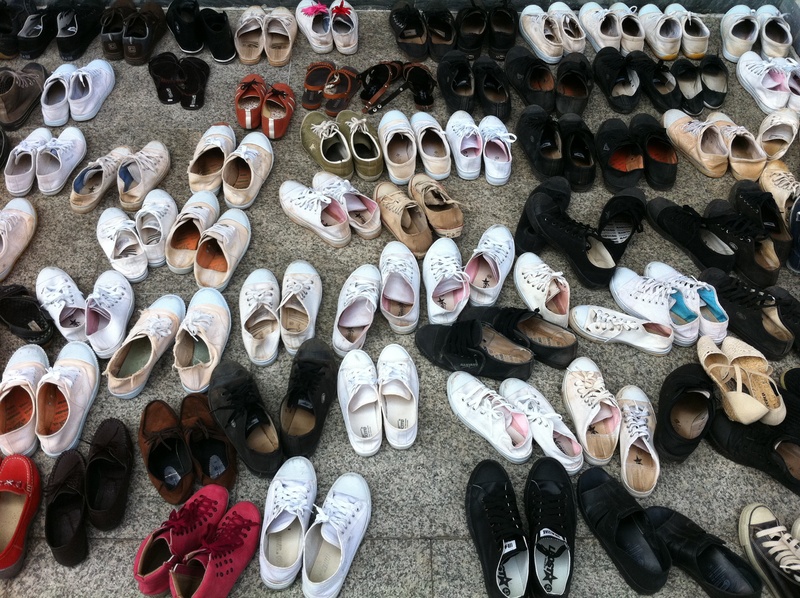 A Mr. Xu reportedly bought over a thousand pairs of shoes to facilitate his proposal (she said yes, btw). TuHao is becoming the buzzword in China at the moment, resurrected from referring to a cruel landowner in bygone days, to meaning something similar to ‘nouveaux riche’ in English (or, rather, French, you pedant!). In fact TuHao might even supplant that borrowed phrase as the Oxford English Dictionary is mulling its inclusion in future editions (get ready on that, Pollipops!). This is just the latest example of extravagant expenditure among the newly-minted entrepreneurs of the Middle Kingdom. However, reports state that this particular nouveaux riche gave away the surplus footwear, rather than create a nouveaux-Imelda Marcos. Don’t be expecting to see either of them on the breadline any time soon, though. Your turn! Any weird and wacky proposals you’ve heard about or, better still, been involved in? (Or even better still, been the unsuspecting victim of?) How would you splash the cash if you ascended to TuHao status? We can but dream (and stifle our jealousy). For more from New China Hand FOLLOW us. We appreciate the support! This entry was posted on December 2, 2013 by theguestroom in NewChinaHand and tagged Best, Blog, Chengdu, China, Cinderella, diamonds, HK, Hong Kong, Nouveau riche, Oxford, Oxford English Dictionary, proposal, Shopping, Top, Wedding.